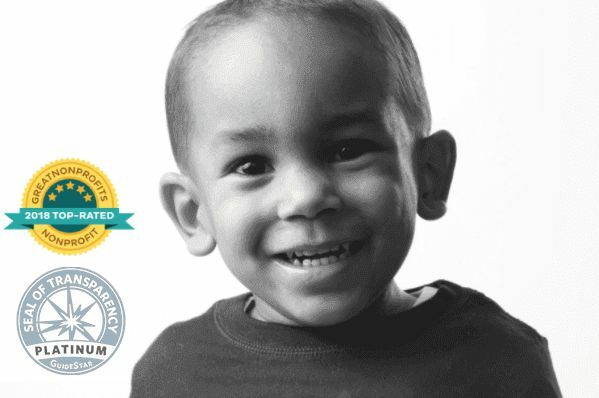 Ayden Brown changed the way the world views Childhood Cancer. The courage and strength of a 3-year-old boy inspired millions to stand up and fight for their children. Ayden showed the world that nutrition and cancer have a direct correlation, and change must start with us. 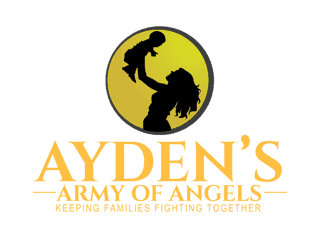 Ayden’s Armyof Angels Inc. is a Childhood Cancer Foundation founded in 2015 in honor of myson Ayden Brown. Ayden was diagnosed at 13 months with Stage 4 AlveolarRhabdomyosarcoma. Ayden and I spent the next two years of his life fighting, in and out of hospitals, until we lost everything we had. I then lost Ayden on November 3, 2017. Prior to Ayden's passing, he inspired the world and brought more awareness to Childhood Cancer than any child in history. Ayden and I struggled greatly through out treatment, we also saw families around us who’s struggles were even greater than our own. That’s when we decided to start making a change. We started making snack bags for families who didn’t have food, donating diapers, band aids, and toys. As Ayden’s cancer progressed we began seeking alternative options. Healthier options and the world saw the transformation in Ayden's health. Unfortunately, this change did not come soon enough. Ayden’s Army of Angels provides resources financial and nutritional, to any families effected by Pediatric Cancer.We also know the importance of creating memories, so we host a variety of events throughout the year, not only to bring awareness, but to provide families the opportunity to create lasting memories. Our primary funding has come from Ayden himself. Prior to Ayden’s passing we raised 265k to seek him alternative treatment. Before we could get to those options, Ayden passed. I have taken the remainder of Aydens GoFundMe and opened the Foundation. Since September of 2017, I have issued over $30k in grants to Cancer Families. We have also hosted several parties and events for the families all at no cost to them. 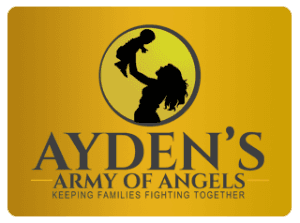 Ayden’s Army of Angels Inc. is all I have left of my son. Ayden and I started this foundation together and I will do anything in my power to keep his legacy alive and help as many families as I can. In order to- do -so, I will need the support of my community. Every movement started small and it takes one person who is brave enough to demand change. Ayden was this person, and it is now our job to continue his work. No child deserves to die from cancer, and no mother should have to learn to live without their child. Together, we can bring change and restore hope in a community where hope is becoming lost.